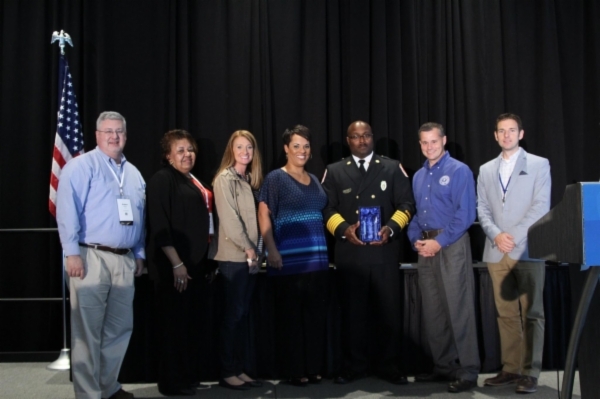 Updated 10/5/15 - Hopkinsville Fire Chief Freddie Montgomery, Jr. has been named the City Employee of the Year by the Kentucky League of Cities (KLC) & was recognized at the KLC Conference & Expo on Friday, October 2nd in Owensboro. 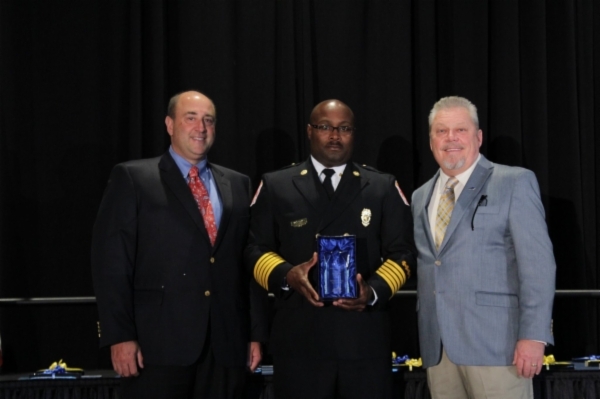 Today at a special announcement, Hopkinsville Mayor Carter Hendricks proudly revealed that Hopkinsville Fire Chief Freddie Montgomery, Jr. has been named the City Employee of the Year by the Kentucky League of Cities (KLC). Complimentary registration to an annual KLC Conference & Expo. For more information on the award, please contact Human Resources Officer Kenny Grabara by phone at (270) 890-0264 or by email at kgrabara@hopkinsvilleky.us.